The Department of Plastic Arts offers a specialist program that combines traditional techniques with innovative approaches to making art. The Plastic Arts Program is built on the triadic bond between technical training, critical thinking and historical perspective, where students are encouraged to develop their artistic practice as part of intellectual and critical enquiry. A wide range of practice-led studio and workshops offer collaborative strategies for creative thinking, complemented by lecture and seminars where the visual arts and history meet across the fields of philosophy, psychology, architecture, design, technology and the natural sciences. Students will gain an opportunity to make a tangible difference on a local, national, and international scale with guidance from an exceptional staff and access to incomparable technical and studio resources. Studios and lectures are led by a core team, as well as cross-faculty staff members, exposing students to instructors who have expertise and specialisms in a variety of areas. ARUCAD’s Kyrenia campus is a creative environment where students will be encouraged to practice critical, open and exploratory thinking while being equipped with the confidence, experience and skill needed to launch their career as professional artists and makers. Plumer completed her PhD in Art history at the University of Nottingham in 2012 and has lectured in several institutions since, including European University Lefke, Nottingham University, the Courtauld Institute of Art and Girne American University. She is an active member of NGO art associations, namely EMAA, and carries out independent research alongside collaborative projects as cultural manager and curator. Most recent publications include the monographic book “Unica Zurn: Art, Writing and Post-war Surrealism” (IB Tauris, 2016) and “From narration to dialogue? 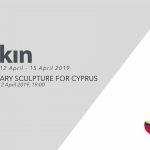 Thinking about the way we talk about contemporary visual art in the Turkish Cypriot Community”, in the upcoming book Contemporary art from Cyprus: Politics, identity and transcultural artistic production (IB Tauris Publishers, 2019). Born in 1964, M. Turan Aksoy is a graduate of Gazi University (1986) in Ankara. He received his M.A from Hacettepe University. He then completed his Ph.D at University of Central England. He has worked at Hacettepe University, Yıldız Technical University and Yeditepe University as an instructor. He has been in Stuttgart Art Academy as a visiting professor. His latest selected works: 2015 A Portrait; Restless, Pi Art Gallery, İstanbul. 2015 Manageable Heaven, Milli Reasürans Art Gallery, İstanbul. 2013 A Portrait; Restless, Pi Art Gallery, İstanbul. 2011 Dust and Fuss, Pi Art Gallery, İstanbul. 2010 Shining Thing, Pi Art Gallery, İstanbul. She completed her higher education in art department in Marseille Fine Art Academy in France. She holds exhibition in Europe and her artworks are found in private and public collections. She gives Expressive Art workshops in Cyprus and in Spain. She is graduate of Ceramics Department of Fine Arts Faculty at Hacettepe University. She got her master's degree in Mimar Sinan Fine Arts University between the years of 2003-2005. She has been working on her atworks in her atalier in Cyprus since 2005. She has participated in various national and international exhibitions and symposiums.